Francis Ngannou: From Child Mine Worker & Homeless Adult to UFC Heavyweight Champion? 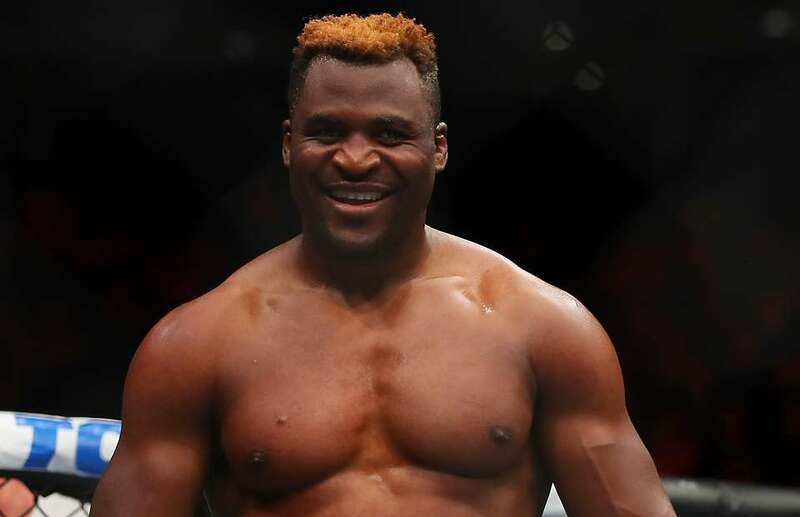 UFC heavyweight wrecking ball Francis Ngannou will have the opportunity to become the new champion of his division. Having grown up in poverty in the West African country Cameroon, Ngannou then moved to Paris as an adult but with no money and nowhere to live ended up homeless in the French capital city. On Saturday, the powerful 31-year-old will be fighting for the UFC heavyweight championship against Stipe Miocic at Boston’s TD Garden. Ngannou’s story seems the stuff of legend or the script of a Hollywood movie. In his six UFC fights, “The Predator” has finished them all with 4 inside one round and two in the second. His devastating knockout of Alistair Overeem at UFC 218 in December reinforced the widely held belief that he is the hottest property the heavyweight division of the UFC has seen in a long time. “This journey now is not only mine,” said Ngannou. “It’s for all Cameroonians and for the whole of Africa and all of France, too. “In Africa, when I started the journey, I was by myself. No one believed me at that time, and today all of them believe in me and they almost rely on me. It’s very important because I can bring hope to someone or help someone to be ambitious and tell them that everything is possible. “How many contenders are in the division right now waiting?” Ngannou wrote following a workout in Boston. “So I don’t think right away they would just give the rematch to someone who lost. But if he’s there, I’m going to fight everyone. I don’t have a choice in it – I’m open to fight everyone. It doesn’t matter. But I don’t think he’ll be the first one to be a contender again (if I beat him). Stipe Miocic, on the other hand, will be vying to set a record in the UFC heavyweight division with a victory over Ngannou. The UFC heavyweight title is the hardest to defend, and Miocic is currently tied at 2 defenses. Should the Ohio-native beat Ngannou, he will not just set the record for most defenses of the strap but will put forward a case to call himself the best heavyweight in the history of the promotion. Miocic famously knocked out Fabricio Werdum at UFC 198 in May 2016 to take the title. Wins over Alistair Overeem and Junior Dos Santos takes Miocic to 5-0 in his last 5, with 4 ending in first round knockout. Many are underestimating the American’s power and ability to finish fights heading into the title clash, which should make for interesting viewing come Saturday night. Should Ngannou defeat Miocic and solidify the most remarkable rise from child poverty and homelessness to world champion, it is hard to see anyone stopping him from making some real history in the promotion.